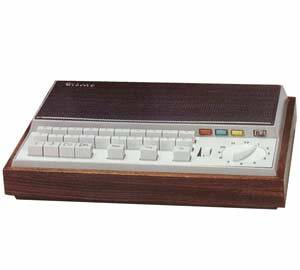 Introduced in 1968, the Storno CQF600 was the base station of the Stornophone 600 family. It was available with up to 12 channels, providing standard transmitter powers of 6W, 10W or 25W and a wide range of power supply options. The reliability of the CQF600 was the stuff of legend. There are many true stories of the Storno 600 base station surviving drops from cranes or having been installed and then working untouched for years and then even lost where new walls were built over them! The wall mounting 'opening book' style finned, grey cabinet was rugged and waterproof. 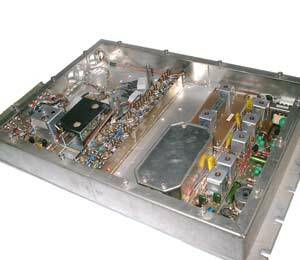 Used widely by military, commercial and emergency service customers from the simplest to the most complex of systems, the CQF was the universal base station. The Storno 600 range was fully transistorised giving much improved current consumption figures compared to the earlier valve hybrid designs and of course instant-on availability without valve warm-up delays. Local or remote site operation was available using a variety of AC and DC control and signalling systems as well as complex multi-site configurations featuring diversity reception and quasi-synchronous transmission. The CQF600 could be interfaced with the available control systems using a system specific control panel. 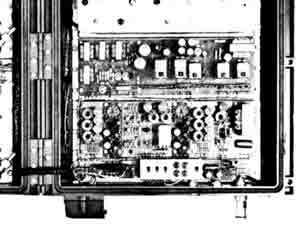 This usually consisted of a combination of modules to provide the various features required by the specific system such as AC or DC line interfaces, line amplifiers. 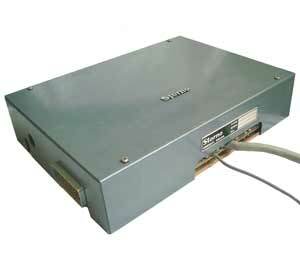 repeater unit, etc. The standard desk controller came in three main versions. The CB681 being the most common, provided with an internal microphone but with a wide range of desk microphone and handset options available. The CB684 was operated using a standard telephone and capable of simplex telephone connect. 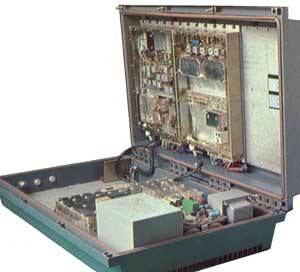 The CB686 was also telephone operated and provided full duplex telephone connect capability. All units had space for optional selective calling with two rows of buttons for selecting the outgoing call ID. The control box could be plugged directly into the base station in the local configuration but when remote control over a landline was required the controller connected to one of wide a range of line interface units. 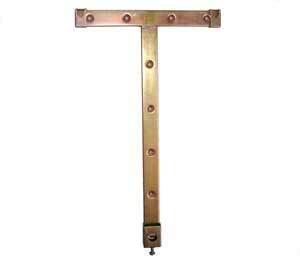 To the disciples of Storno, the golden T has a very special significance. The ceremony of the mounting of the T-bracket representing that essential first step on the path to full commission. "Where there is darkness, let there be coverage"